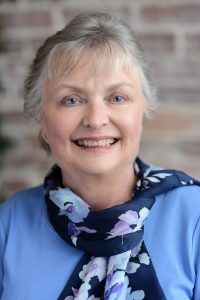 Cheryl Grant Gillespie, 1970 graduate of Winslow High School, will be at Winslow Public Library on Thursday, July 26th at 6pm for a reading from a recently published anthology that she contributed to. The book Compassionate Journey: Honoring Our Mothers' Stories is a collection of five essays by Maine women writers about mother/daughter relationships. Topics of sexism, abuse, substance addiction, mental illness, adoption, love, acceptance, and compassion are covered, among many others. The authors come from a varied background from teachers, psychotherapists, a lawyer, and a nurse. Cheryl's essay is about her mother Grace Murray Grant who spent her teen years and adulthood in Winslow after being born in Windsor. The anthology will be available for purchase and signing, both cash and credit cards accepted. Cheryl would love to answer any questions and have a discussion after a brief reading. Please join us!